Born on December 3rd, 1958, at New York City’s St. Vincent Hospital to Puerto Rican parents both from Caguas, Puerto Rico, Dr. Drum is known as one of the Top National Afro Rican Bomba Artists. Bronx native Jose Ortiz, aka:Dr. Drum, is a nationally highly acclaimed professional on-stage performer, educator in Pan-African, Caribbean and Latin culture and is a self-taught percussionist of AfroCaribbean rhythms. For these past twenty years, he has been an adamant advocate for the cultural arts as well as an adamant activist, organizer and educator of Afro Puerto Rican Bomba, a traditional African derived music and art form, which was brought to the Americas from the African slaves. Dr. Drum’s unbelievable artistic talent has led him to perform and record with world renown Grammy nominated Afro Rican Jazz artist, WilliamCepeda. Dr. Drum has more over recorded with internationally known entertainer and Broadway actor Corbin Bleu and has as well performed with both on stage! Dr. Drum has furthermore been invited to perform at internationally known venues where the greatest world entertainers have performed such as: The Madison Square Garden, The Lincoln Center, The United Nations, The Broadway Theatre, The MInskoff Theatre, ‘El Barrio Museum”, The T.D.Bank Five Borough Bike Tour and many other important similar venues. Dr. Drum has as well taught at numerous after-school programs throughout NYC since 1999, where has developed original curricula for teaching percussion to the youth. Dr. 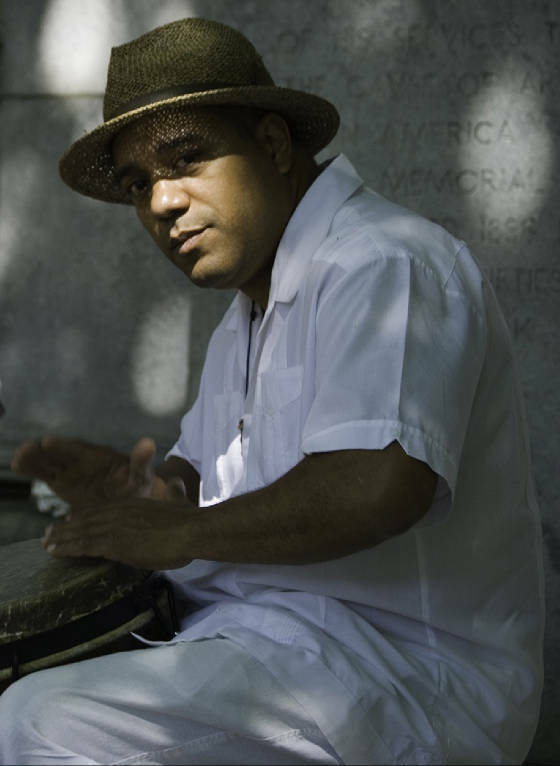 Drum is presently the co-founder and Musical Director of BombaYo Afro-Puerto Rican Arts’ Project. His work helps members of all ages, cultures, backgrounds, race and ethnicities develop a strong sense of identity and responsibility through actively exploring their cultural roots. Dr. Drum’s engaging style encourages children and adults to explore their own musicality. He sees this art form as a vehicle for self-discipline, cultural affirmation, and healing. In doing this work Dr. Drum most importantly, seeks to bring awareness and appreciation of the contributions of the African Diaspora in the Americas to the entire world. Dr. Drum has been affiliated through the Brooklyn Arts Council, the Bronx Council On the Arts, the City Lore, the Union Square Award Professional Development Program. Furthermore, he has co-chaired a committee and presented for the Bomba Research Conference. Throughout the years, Dr. Drum has been acknowledged numerously and has received various awards such as: TheProclamation Recognition Award from the Bronx Borough President, the Don Quijote Recognition Award from the Brooklyn college and numerous citation awards from the New York State Assembly Men and Council throughout the years for his immense cultural contributions.